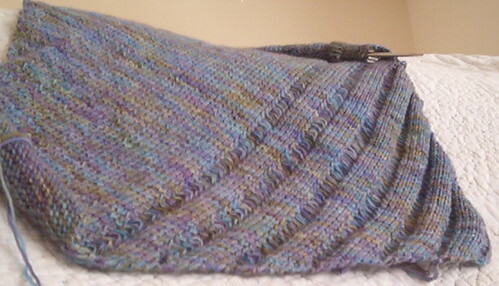 I dragged out the ole clapotis and got back to work on it yesterday. I just love this yarn... I don't think I'm going to have enough yarn to make a full Clapotis though... so it may be a little smaller. That's ok with me, it will be a great scarf/shawl for those chilly Georgia mornings. I saw the story of the woman held hostage by the cop/judge/court reporter killer. I think she's leaving a lot out, but what can you do. I'm just grateful he's behind bars, hopefully forever.